Here are a few WPF Interview Questions for you! 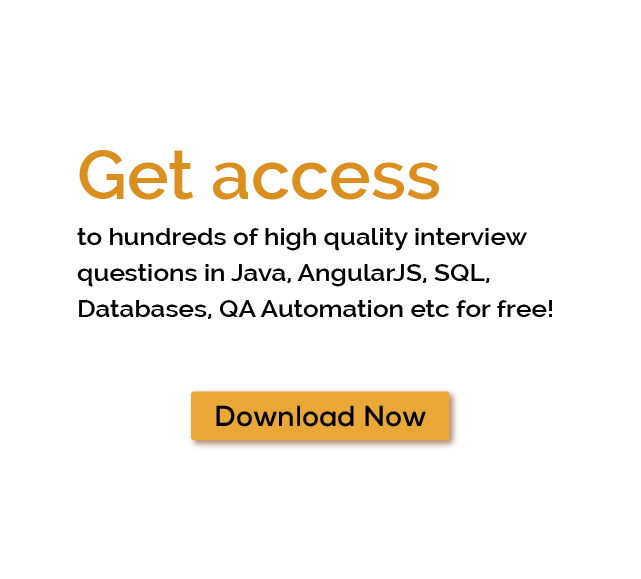 Download more High Quality WPF Interview Questions! Microsoft gives many features for User and WPF is one of them. In this tutorial, you will learn WPF and its concept. WPF full form is Windows Presentation Foundation which is a development tool and a subsystem that render the User Interface of Windows Based Application. The UI is also known as Windows Client Application (WCA). WPF was launched with Microsoft .NET 3.0 and previously known as WinFX to build Windows Client application. It is also known as ‘Avalon’ when it was launched. WPF is an approach to use GUI framework within a .NET framework. GUI stands for Graphical User Interface. Everything that you see on the web. GUI framework allows a user to create an application. GUI provides more flexibility in an application. WPF is one of the most widely used GUI framework. It uses Direct3D rendering. DirectX manages the Graphics card to render the output, because of these we show smooth screen and it is also capable enough to utilize the system hardware and checkout telerik demo and compare wpf vs winforms. You will come to know that WPF has huge potential. WPF is a rich set of libraries that have all the functionality to create, execute and manage Windows-based application. It is an engine that manipulates the user-interface. In WPF example you can customize controls and it also provides the modification capability through which, you can change the behavior of an application whenever required. The essential part of a technology is to understand its architecture. The architecture of WPF is multilayered and include three layers. Managed Layer: - Managed Layer builds with three assemblies. These assemblies communicate with lower UnManaged API to render its content. PresentationFramework.dll: - It is the first assembly and include some high-level features that are beneficial to build WPF application such as style controls, wpf data binding, layouts, panels, shapes, media, documents, animation and much more. PresentationCore.dll: - This is a low-level API which giving features for 2D and 3D. It acts as a managed wrapper and provides a public interface for MIL. The PresentationCore contain WPF Visual system and gives classes to build the application. WindowsBase.dll: - It holds the basic element which is being used outside form WPF environment such as Dependency objects and Dispatcher objects. UnManaged Layer: - This layer is combination of two APIs. milCore.dll: - This layer called Media Integration Library. Main work of this layer is to convert the Higher Level object into the texture. It is the rendering engine of WPF. It also called as Milcore and it is written in unmanaged code to enable integration with DirectX. windowsCodescs.dll: - It is also a low-level API used for imaging support in WPF Applications. It contains the number of codes that encode or decode images into vector graphics that would be rendered into WPF screen. Core API: - This layer contains some components of the operating system such as Kernel, User32, Device Driver, GDI, Graphics Card etc. This application used in an application to access low-level APIs. DirectX: - It is a low-level API that used to render graphics. User32: - It is used to manage memory and process separation. GDI: - Graphic Design Interface that gives expanded set of graphics which improve render quality. CLR: - Common Language Runtime provide an environment to execute a program. Device Driver: - It is used by an application to access Low-Level Data. A WPF application comes with lot of features which are mentioned below. Device Independent Pixel (DPI): - Device Independent Pixel is used to calculate Dots Per inch (DPI) which is generated by screen. It is dependent on hardware. Windows form application c# tutorial explain that it uses pixel-based approach. Style and Control Templates: - WPF application comes with huge flexibility. You can easily add style and control it. WPF Binding Capabilities: - Data binding is an important capabilities of WPF through which you can easily build loosely coupled and maintainable application. Graphics: - A WPF based application use vector graphics. Vector graphics are fast and require low space in the application. Templates: - With the WPF you can easily create the reusable element. WPF use two type of templates. Animation: - WPF contain very impressive animation and it can be easily integrated with templates. XAML is an XML based markup language for specifying characteristics of classes in other words XAML is language that used by WPF that has a capability to declare a class. It was developed by Microsoft to write user interface for an application and many XAML tutorial are available. WPF Controls: - WPF allows developers to create attractive UI based application, it contains some inbuilt control that helps to create scalable application. In WPF C# is used for creating C# desktop application examples, c# wpf tutorial for beginners helps you to understand what is wpf in c#. This control is also usable in windows application in c#. WPF MVVM: - The Model-View-View Model is a standard pattern to build classic, flexible and testable application for WPF. WPF MVVM tutorial are easily available online. Prism: - Prism is a framework which is used to build maintainable and testable XAML application in prism WPF. If you want to build WPF meaningful sample applications, you will need to download and install Microsoft Visual studio express, you can get installation procedure from visual studio tutorial pdf. Some of the many WPF Interview Questions listed below will help you get an idea about what questions gets asked in such jobs related to Software Engineering & Tech. Get through the WPF Interview bar with our selected WPF Interview Questions for all WPF enthusiasts! For thousands of similar WPF Interview Questions login to our Website or download EduThrill. Experience the thrill of challenging people around the world on WPF Interview Questions!